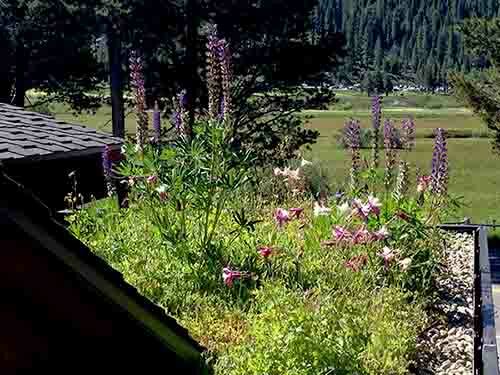 Squaw Valley | residential | Living Roofs Inc.
A pre-vegetated option for instantaneous green. The roof of this garage no longer distracts from the surrounding mountain views. 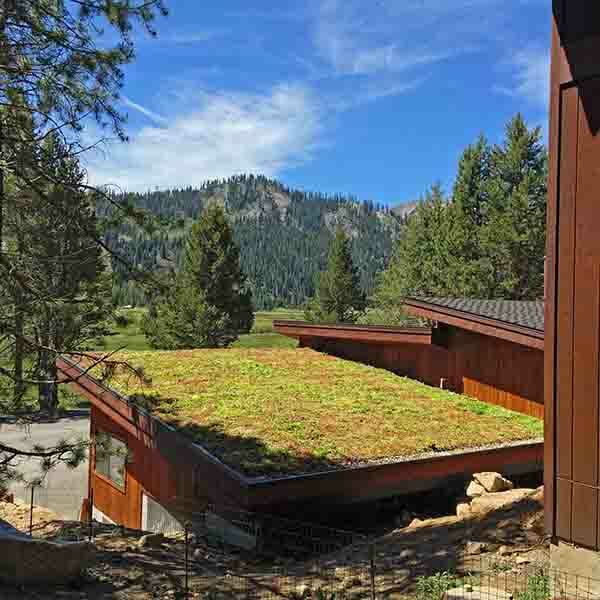 An extensive, pre-vegetated roof was selected to both instantly green the highly visible roof and reduce the overall weight of the green roof. 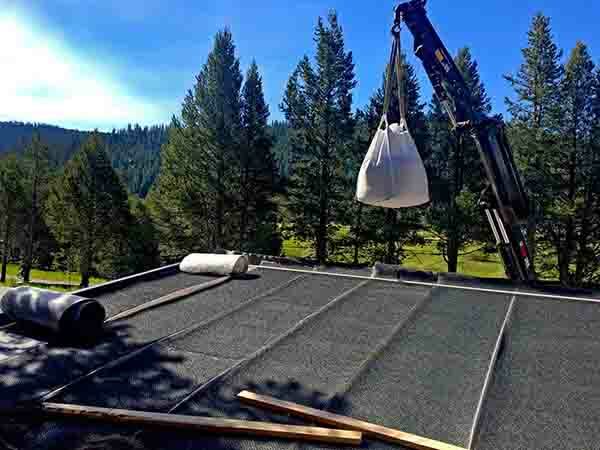 The pre-vegetated mats were sourced regionally and have a high diversity of species to help them adapt to microclimates on the roof.